In political work, we must first eliminate dogmatism and formalism. Before, foreign publications were copied mechanically when preparing documents or lecture programmes for lower echelons. This practice has now ceased, but the old style and method of work are still lingering. If a formal report is made and a resolution read out at a meeting, whether or not Party members understand the report, this is also a manifestation of dogmatism and formalism. We must put an end to this formalistic work method which is refined outwardly but has no substance. Till the March 1958 Plenary Meeting of the Party Central Committee, Choe Jong Hak, then in charge of the General Political Bureau of the Korean People's Army, had had foreign publications uncritically copied in preparing the materials which the lower units were forced to use. He made a mess of the army's political work.
. Because he had neglected political work, the factionalists had been able to wriggle in the army. Otherwise, they would not have done so. 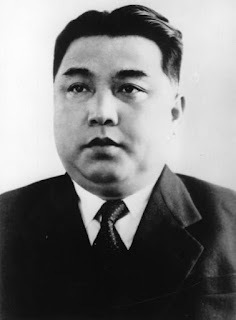 Pak Chang Ok and Pak Yong Bin, who had been on the Party Central Committee during the war, were so ignorant that they also gutted foreign papers and forced the lower units to accept their plagiarisms. They worked in such a manner that they mechanically repeated what foreigners said. Westerners use knives when eating bread but we scoop rice with spoons. Foreign customs and things do not always suit the taste of us Koreans. We should assimilate what is excellent and progressive out of things foreign but not what is inexpedient to our actual conditions. Our guardhouse system was a mechanical imitation of foreign things. The anti-Japanese guerrillas had fought well for 15 years, none of them ever being detained. We can dispense with the guardhouse; when they are properly educated, the soldiers will voluntarily observe discipline. The Irkutsk group used to make demagogic attacks on any opponents to dogmatism or to their views, claiming that they were against the Soviet Union. This made it impossible to fight against Choe Jong Hak's misdeeds. Our opposition to dogmatism does not undermine our solidarity with the Soviet Union. Lenin and Stalin, both Soviets, also advocated opposition to dogmatism. Thanks to our Party's struggle against dogmatism we could accelerate socialist construction. Had we clung to dogmatism we would have got nowhere. countryside. Such being the situation, how could we subsist without organizing cooperatives? The fraternal parties now praise the Workers' Party of Korea as being second to none in socialist construction. This is also because we did not slide into dogmatism. We must firmly oppose revisionism, as well as dogmatism. Revisionists refashion Marxism-Leninism. They laud themselves as cleverer Marxist-Leninists than Marx or Lenin. Certain countries have this tendency. Some people insist that we must peacefully coexist with the Yankees. How can we do so, without opposing US imperialism? People of great powers may commit errors. We cannot fully agree with them or follow them blindly. Some people asked us to withdraw our slogan "Wipe out the US aggressors!”, saying that it was undesirable. Our Party Central Committee declined their claim. In addition, they told us, “Don't shoot down intruding US aircraft but just land them.” The countries which have good planes may do, but not we. We must pursue the aircraft and shoot them down. We pay no heed to the words of the evilminded. It is true that we must unite with the fraternal countries. However, we need not emulate the misdeeds of individual persons in these countries. As far back as the days of the anti-Japanese guerrilla struggle, we put up the slogan: defend and unite with the Soviet Union. Since liberation, we have continued to defend and unite with the Soviet Union and so shall we do in the future. We cannot do everything as the Soviets do because we must unite with them. We Koreans should properly assimilate progressive things of the brother countries to suit our own taste. Only then can we hasten the construction of communism.